I haven't done this type of texture for a long time! It's time for another Quick Fix post! 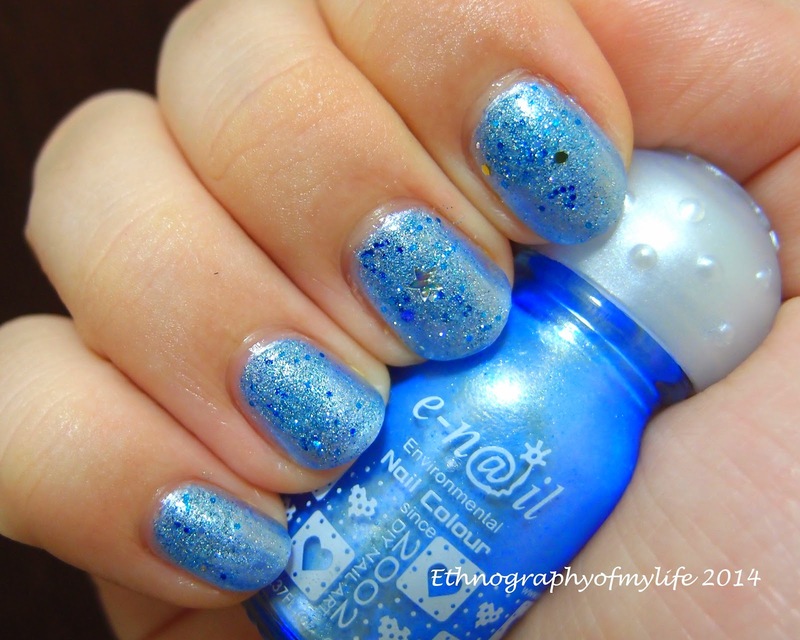 Yes, it's a new polish from E-N@il again. I exchanged some of my items with a girl for 6 E-N@il polishes recently. I really like to trade with others, since I have so many unused items at home. The featuring bottle is called Danube, and I put on about 4 coats. This color is very sheer. I topped some Dolphin Bay blue glitter and some Beach Playland glitter to finish the look. It's purely layering, no technique required at all! Even though it's a very simple nail rt, I really really love it! It reminds me of blue crystal river/snowflakes and the new Disney movie Frozen. 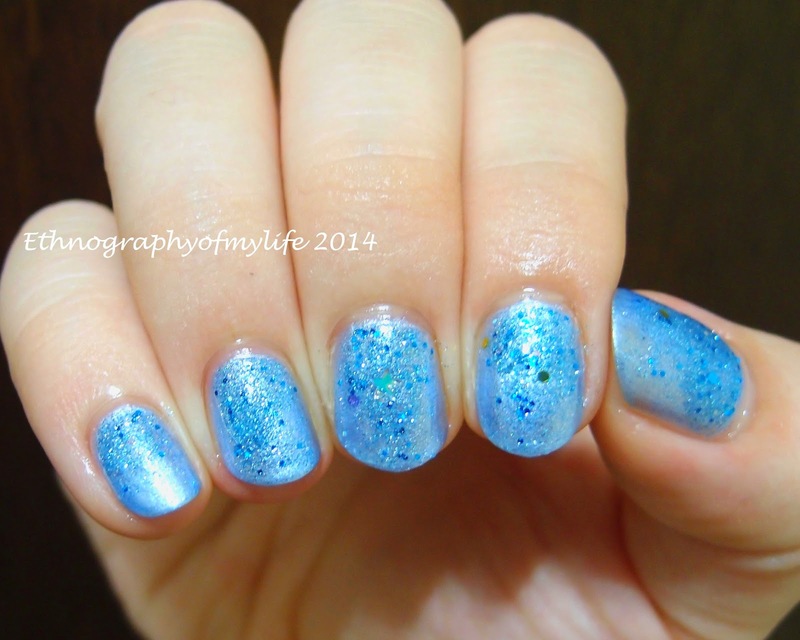 This manicure definitely is suited for Elsa hahahaha! Summer light makes the glitters so sparkly and shinning, fun to wear it!